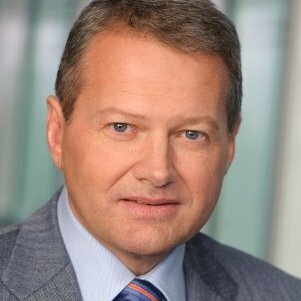 Gerhard Neuhauser, LU-VE Austria GmbH, is the new Vice President of AREA, the air-conditioning and refrigeration European association. Gerhard, who also serves as President of OeKKV (Österreichischer Kälte- und Klimatechnischer Verein), was elected during the AREA 2018 Spring General Assembly Meeting (Vienna, Austria - 25-26 May 2018). The new elected board is composed as follows: Marco Buoni, President (Italy), Gerhard Neuhauser Vice President (Austria), Grzegorz Michalski, Director (Poland), Graeme Fox, Director (UK), Stig Rath, Treasurer (Norway) and Per Jonasson, Past President (Sweden). Established in 1989, AREA voices the interests of 25 national associations from 21 countries, representing 13,000 companies, employing 110,000 people and with an annual turnover approaching € 23 billion. LU-VE Austria GmbH (established in 2017) deals with the entire product range for commercial and industrial refrigeration as well as air conditioning. The company task is to improve LU-VE Group support to Austrian customers but also to find new ones and new segments in both Germany and Switzerland.